The most important element when purchasing any new flooring is the installation of that product. In today's world of big box and discount outlet stores a very common situation has become the norm when purchasing new floors, the lack of professional installation knowledge at the point of purchase. Why is professional flooring installation important? 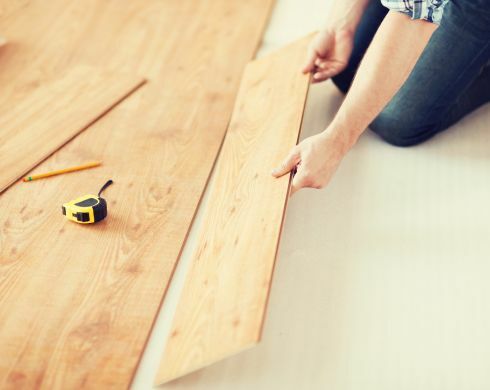 In the fast paced world of shopping for and purchasing flooring products online today for less, installation has become the unspoken culprit to issues with new flooring purchases. Almost every single manufacturer of flooring today, validates the product warranty starting and ending with installation procedures. Many product warranties can "rightfully" be voided when specific procedures of installation are not followed. Here at Spring Carpets, we put a lot of emphasis on the installation process. For us, it has become one of the reasons we have established a strong following of loyal customers. Our last impression will be many first impressions for you. Our installation crews, whom we depend on daily, are the best in the business and have been with us from 10-25 years! Our crews understand that most of the homes we service, can be heavily furnished and usually always have existing floors down that must be removed. Since furniture removal can be time consuming and disruptive to a customer’s everyday life. We want you to know what to expect. Most of our carpet installations are a one-day process, with many being only a few hours. Hardwood and laminate installations take multiple planned out days. This time frame would include ample time for the product to properly acclimate to the temperature of your home, prior to installation. Stone tile products being potentially the slowest process of them all, as it takes days in between the tile setting, then the grout being applied and drying before it can be walked on. We work with every customer and offer a realistic timetable on the process. We don’t want any surprises for the installation. The most important element in the process is that our knowledgeable managers and sales agents work closely with our professional and trained installers to ensure expectations can be communicated between you, the customer and the installation crews. We go beyond your expectations with our installation services at Spring Carpets. The “extras” that come along with the flooring installation, including removing and replacing furniture before and after the installation, disposing of old flooring if needed, removing scraps and trash from the job after the installation is complete is all free. Yes, you heard that correctly! We don’t overcharge or charge extra for these services that are part of the installation process with Spring Carpets. We know our installation process is top notch. We want you to know it too, so call us or visit one of our showrooms for your next flooring installation project.